It's perfectly easy to begrudge St. Valentine's Day, which is based on Valentine of Rome, who was martyred in 269 CE. He is the patron saint of beekeepers, happy marriages, affianced couples, and against fainting. 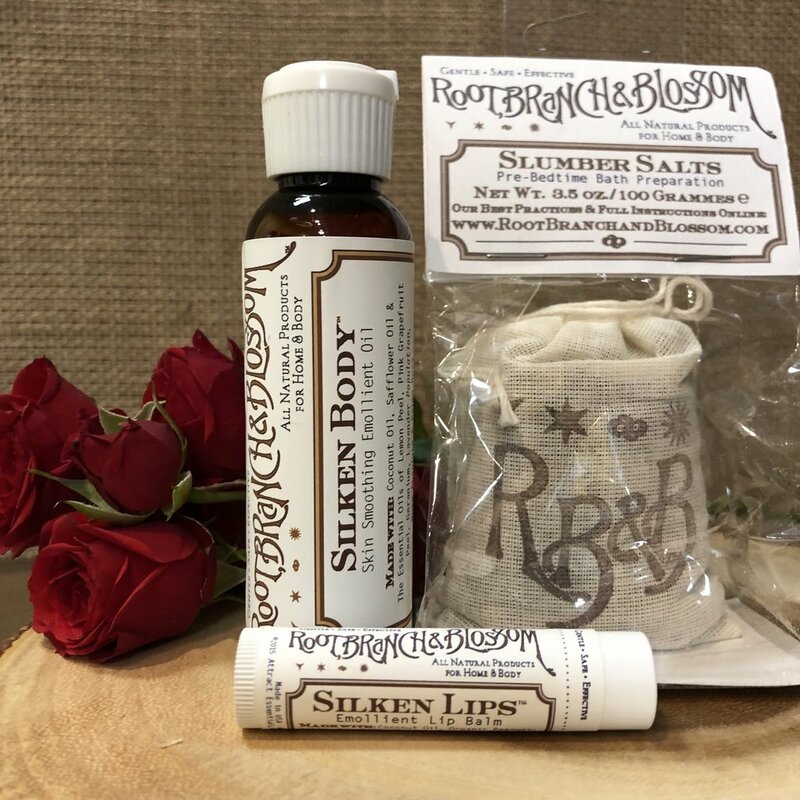 Since we opened, we have proudly stocked Root, Branch & Blossom's all-natural and effective personal care products, such as Silken Lips, All-Clean Hands, and Slumber Salts. For this Valentine's Week only, we are pleased to offer a thoughtfully-curated special. It’s like getting Slumber Salts for nearly free! Silken Body, Root, Branch & Blossom’s signature Skin Smoothing Oil, is a coconut/safflower oil based blend with a subtle scent that includes lemon peel. geranium, lavender and rose absolute. This is a light weight oil that offers a smooth glide for post-shower or massage that melts into the skin. 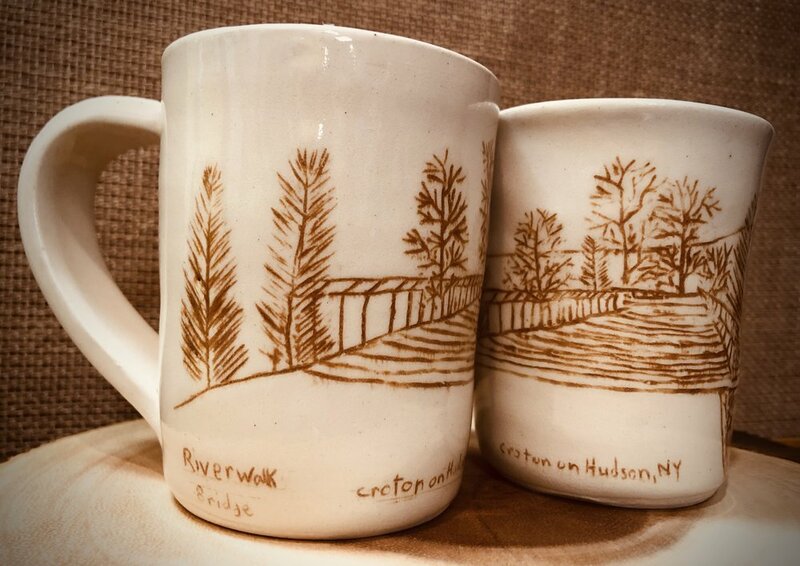 We are offering it at $19 for this Valentine’s Day, or $5 off regular retail price. Root, Branch & Blossom is one of the main lines of Attract Essentials, the creator of Intention-Based Aromatherapy™. We are so pleased to be one of their retail partners. Do you believe you have a purpose? Could you be kinder to yourself? Do you need help focusing on the positive? I’m not alone in constantly trying to make my life a little better by adopting healthy attitudes and habits, or letting go that which does not serve me. And in addition to that reminder app, I also seem to need a physical token to prompt me down the road to consistency. Intention has proven to be an effective change catalyst, however we all need reminders and gentle nudges to help us on our way to enduring change. If this is resonating with you too, please read on! MyIntent Jewelry is a wonderful way to incorporate positive thinking in our daily life. With some guided thinking, choose a word or phrase that communicates your Intent. Perhaps you want to overcome a challenge, start a new habit, or commit yourself to specific change? Take three deep, slow breaths. Be present, accepting, and kind to yourself. Your word will come to you, and when it does, we stamp it on a steel token that you can wear or reflect upon daily. My bracelet reminds me to FOCUS. Janelle has a token hanging on her mirror, stamped CHECK THE BOARD. Kanye’s is BEAUTIFY (lol). For more information, visit their website or pop into Upper Village Blooms. We can help you come up with your word and we will personalize it for you. Twist Bracelets $25, Classic Bracelets $25, Dainty Necklace $35, Chain Necklace $25, Bead Necklace $25, Token only $12-15.